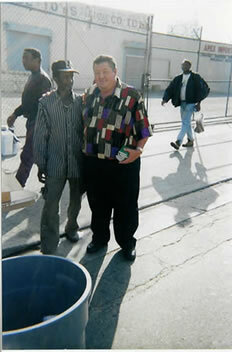 Kenneth Holladay was called to Skid Row, Los Angeles, CA. in 2002. At first he wasn’t sure what the Lord wanted him to do. 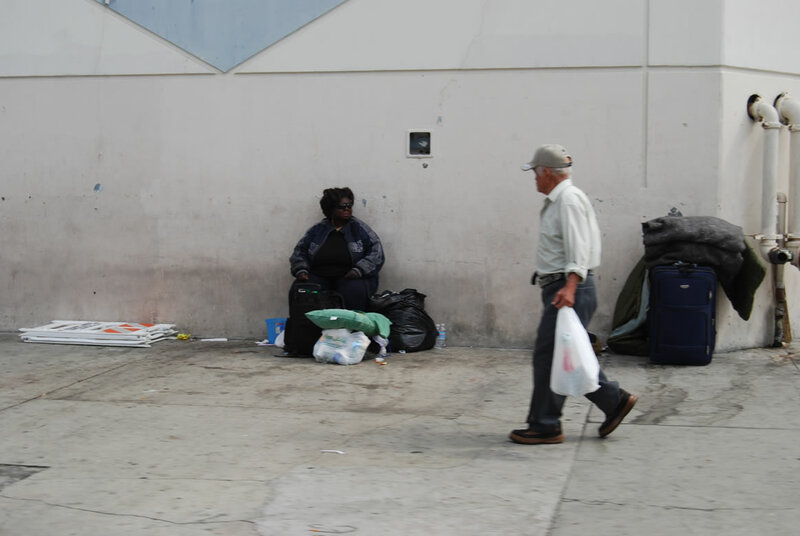 Then after attempting to witness to people on the street, he realized he had asked the Lord to go with him. What he really became aware of is that he needed to go with the Lord. Thus, began his “tag along” ministry. We began working in the old Ford hotel, with a church service in the lobby. 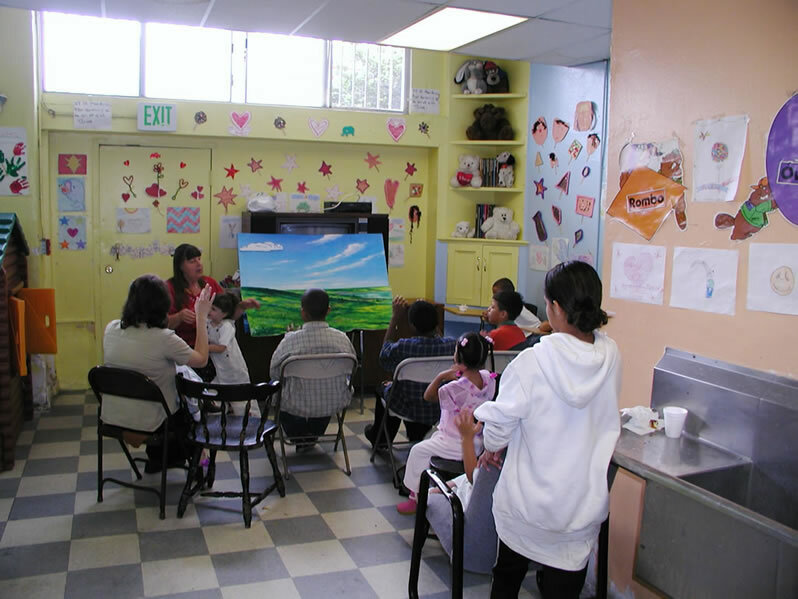 Later we were allowed to have Sunday School for the kids in another room. After the hotel went with SRO, we found another building to rent. It was located on the corner of 7th & San Julian. At that time, we served coffee and donuts and had music and church. Ken was a plain, easy to understand preacher. One man summed his preaching up as having “the cookies on the lower shelf”. He felt the people needed messages they could understand. Short, to the point messages. He believed in preaching from the truth, the Word of God – the Bible. In 2010, Pastor Ken suffered a stroke that with other health issues caused us to slow down. Due to expenses of high rent, food, gas etc we had to stop for awhile and see what the Lord had in mind. We started up again in the patio of the Corner Kafe – on the corner of Maple St. and 7th St. Due to more health issues in Oct. of 2014, Kenneth & I decided a break was necessary. We prayed for guidance and wisdom. Our plan was to gain strength and return to downtown in March, 2015. Ken would be healthier and we’d have more funds. Well, the Lord had other plans and Kenneth went home to be with the Lord on May 11, 2015. I (Marion Holladay) didn’t know what to do. 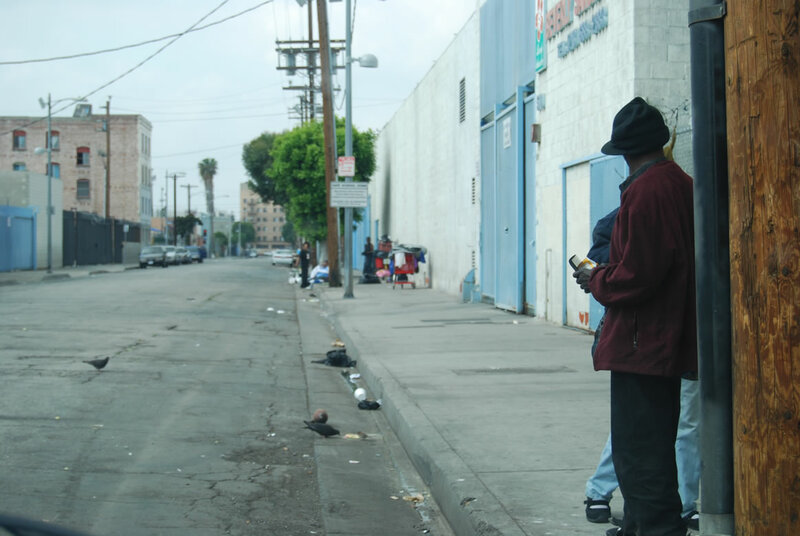 After much prayer and godly council I decided the Lord was indeed leading me back to Skid Row. As it stands now the Lord and I go every third Sunday for church. One at a Time provides lunch afterwards. We also have a Wednesday Bible Study from 1-2 P.M. It is led by Newton “Chief” Burr and Vernon Price. These men have been with us for years. 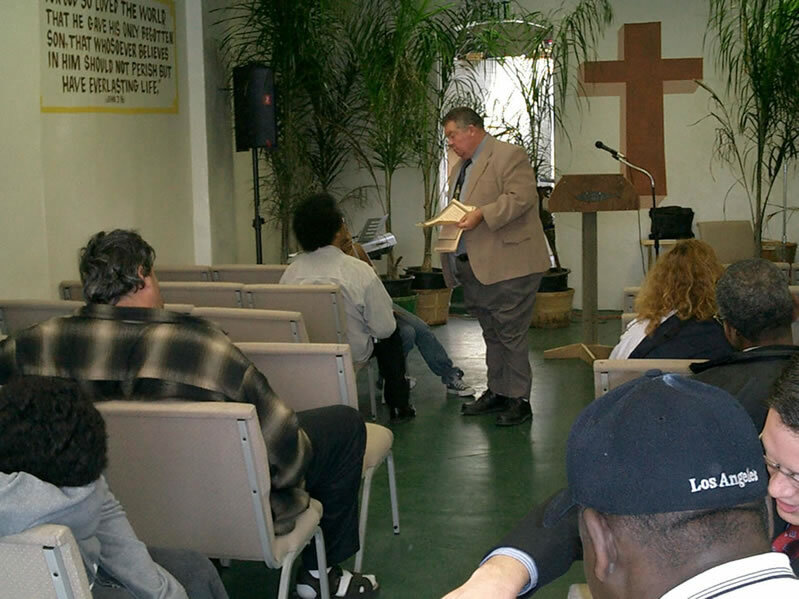 Our goal, as was Pastor Ken’s is to bring the truth of the gospel to Skid Row – One at a Time. After each Wednesday Bible Study, lunch is served by the Corner Kafe, compliments of One At A Time. We also may pass out socks, toiletries, clothes etc. Due to limited space we are able to pass out only a few items at a time.